This is a Zip archive editor for the Eclipse platform. - Direct modification of files in archives using the editor itself. 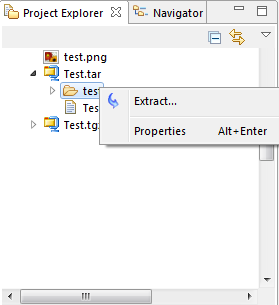 - Add and extract files also via drag & drop from within or from outside the platform. 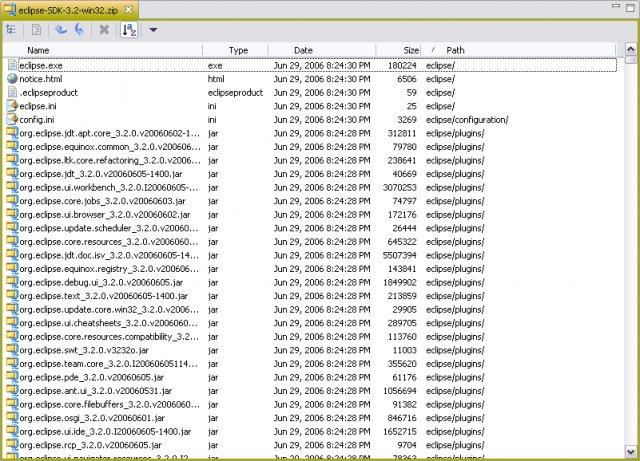 - Explore and extract files in archives using the Project Explorer. 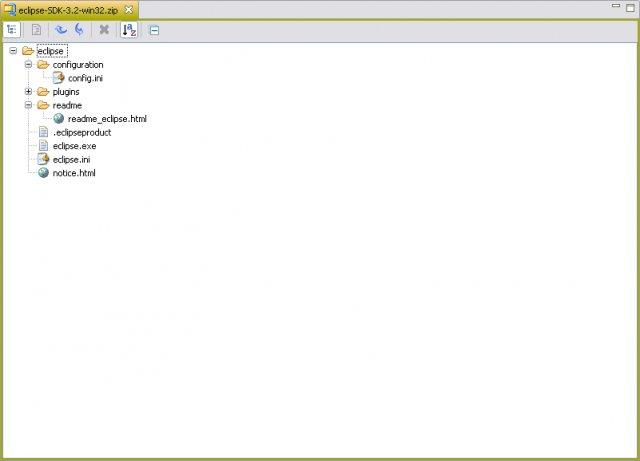 - Recursively search archives using the Eclipse search. Further extensions like aar or apk can be added using the Content Types preference page. By adding the following code below to your website you will be able to add an install button for Eclipse Zip Editor. It seems that nested archives (like LibreOffice_6.0.2_Linux_x86-64_rpm.tar.gz) are opened down-to-the-bottom. I cannot extract the package, what I get is a list of files inside the package. Additionally, the fact that RPM archives are expanded is undocumented. Oops, it turns out that I was wrong—I misinterpreted the archive content. Please consider adding tags fileExtension_jar and fileExtension_zip as tags. That would allow the plug-in to be automatically discovered by Eclipse when a user clicks on any of those files for the first time. Fills a gap in Eclipse for devops people. It's odd that the premier Java IDE for the last decade or two can't deal with simply extracting a class file from a jar/war for copying out to production server running an exploded legacy app. But it is what it is and this plugin closes the loop and coupled with Subversive, docker tooling, Git, Toad extension, DLTK, and RSE (thanks redhat!) does the trick and allows me to stay within the IDE for all tasks. I used WINSCP and copied the file from z/OS USS to Windows and then was able to use the Zip Editor. Is there some other Eclipse tool that would be able to handle zip file on z/OS USS? I use it since ever and it works perfectly, as if I had written it for myself. Thanks for the great tool!